PESHAWAR: Known for his manifesto highlighting women empowerment and the separation of religion from the state, Bacha Khan or Khan Abdul Ghaffar Khan is hailed for his forward stance even today, over two decades after his demise. Bacha Khan’s political beliefs eventually carved out Khudai Khitmatgar (Servants of God) and his pro-peace views resulted in people in India calling him Gandhi of the Frontier. 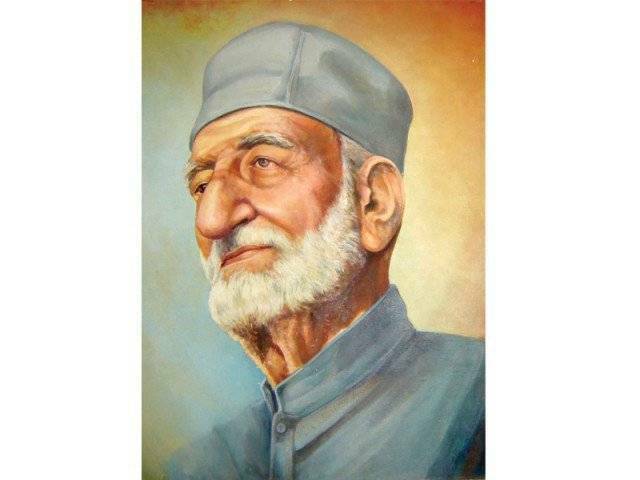 “It was in December 1929 when I and Amir Mumtaz Khan, the headmaster of our Azad School, decided to visit Lahore and watch the All India Congress annual rally, though we were not in the party, but were active in the Khilafat Movement,” Bacha Khan says in his autobiography Zama Jund o Jadojehad (My life and struggle), translated excerpts from which are paraphrased in this profile. In Zama Jund o Jadojehad, Bacha Khan recalls that night a few people from his village, after hearing him speak, visited him and discussed with him the possibilities of forming a political party. “For three days, I delayed them,” wrote Bacha Khan, “But on the third day we decided.” Thus came into existence Khudai Khidmatgar, its workers were known as Surkh Posh or Red Shirts due to the colour of their clothes. While his political alliance with the Congress and friendship with Mahatama Gandhi inspired and refined his political thoughts, it won him great opposition in Pakistan. As an ally of the Congress, Bacha Khan opposed the creation of Pakistan which set him on a warpath against the All India Muslim League. This did not prove positive for the Surkh Posh leader as even when he eventually accepted the creation of Pakistan, he was viewed with suspicion. He spent over 25 years behind bars unfortunately his imprisonment did not end with the Raj. He was arrested in the December of 1921 as a leader of the Khilafat Movement, and was put in Central Prison Peshawar. However, it was his involvement in this very movement which made him famous even before he started his own party around 1929. Post-Partition years saw the Khudai Khidmatgar’s decline as the government mobilised against it. His own brother Dr Khan Sahab abandoned Bacha Khan and joined the government. Nonetheless, the local, inward, focus of Bacha Khan’s party lent the Surkh Posh a powerful appeal among people desperate for basic rights and amenities. Before his arrest in 1921, Bacha Khan and others formed Anjuman-e-Islah-e-Afghan. They established a school in Utmanzai to educate children free of cost. Bacha Khan’s father Behram Khan, was a landlord in Utmanzai and was popularly known as Masher Khan (the elder Khan). Behram did expect his sons would grow up to become prominent political leaders. Bacha Khan, the great Khudai Khidmatgar leader, died in 1988 and was buried in Jalalabad, Afghanistan as per his request.